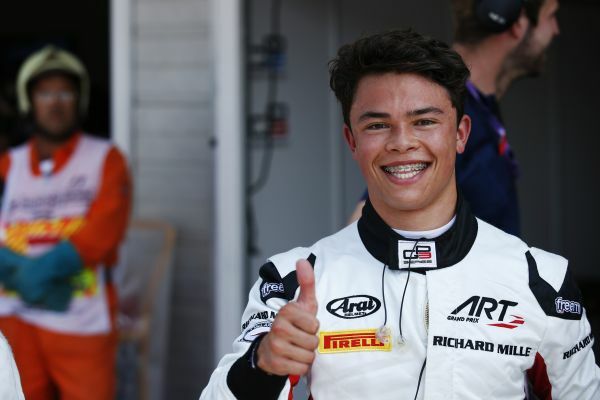 McLaren protégé and ART Grand Prix’s Nyck de Vries produced the goods in qualifying today by posting the quickest lap in the dying seconds to claim his first GP3 pole. The Dutchman clocked a laptime of 1:32.979 which was almost half a second faster than Koiranen GP’s Matthew Parry who had been sat pretty at the top of the timesheet. Trident and Ferrari Driver Academy’s Antonio Fuoco was third after leading the qualifying battle early on. Very hot temperatures set the scene for the thirty minute qualifying session with Campos Racing’s Alex Palou setting the initial pace. Fuoco was then busy lighting timing screens in purple in sector two and three to go P1 ahead of Matevos Isaakyan, Artur Janosz, Jake Dennis and Giuliano Alesi. ART Grand Prix’s Alexander Albon was first to dip into the 1m33’s and held a one tenth advantage over Fuoco. The session was briefly red flagged after Steijn Schothorst stopped at Turn 7. When the session resumed, there were just under seven minutes left on the clock remaining and at this point Series leader Charles Leclerc was down in P11. Ralph Boschung shot to second, a mere 0.026s off Albon before Fuoco found some extra pace to return to the head of the timings. Leclerc also was on the move and was up to P3. But it was Parry who looked racy and he rose to provisional pole with a tenth in hand. Fuoco tried to his best to respond but he was 0.014s shy of the Brit’s best effort. Dennis was also on the attack as he went third quickest but all eyes were on De Vries as the ART Grand Prix rookie impressively flew to the top of the timesheet by almost half a second. 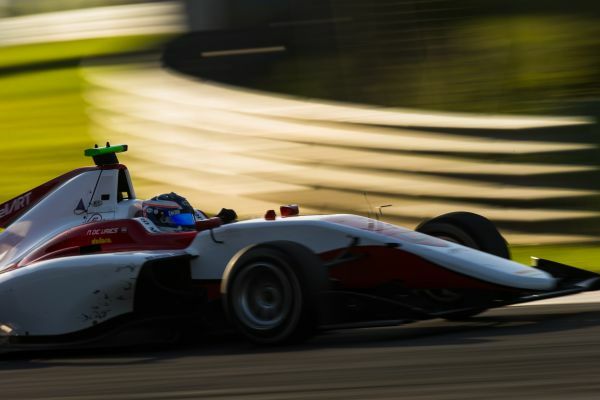 At the chequered flag, De Vries was overjoyed to pocket his maiden GP3 pole ahead of Parry in second who had his best qualifying result of the season. 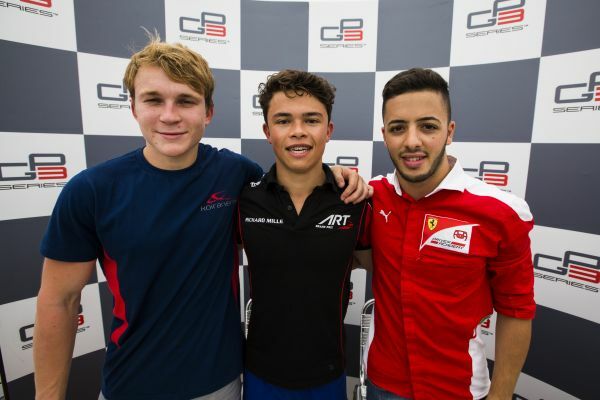 Fuoco, Dennis, Nirei Fukuzumi, Leclerc, Jack Aitken, Albon, Arjun Maini and Boschung completed the top ten. Race 1 takes place today at 17.20 (GMT+2).